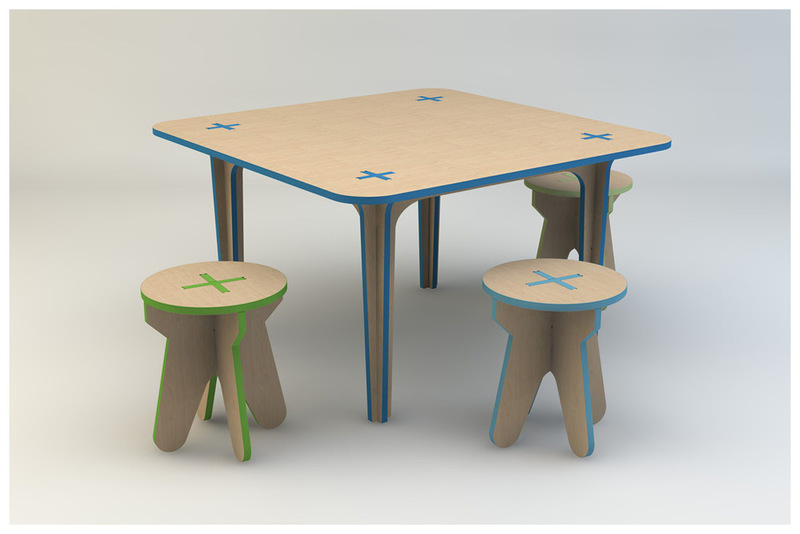 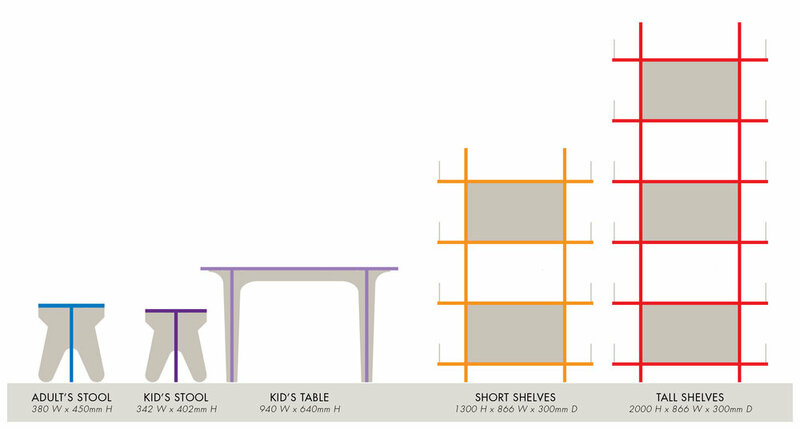 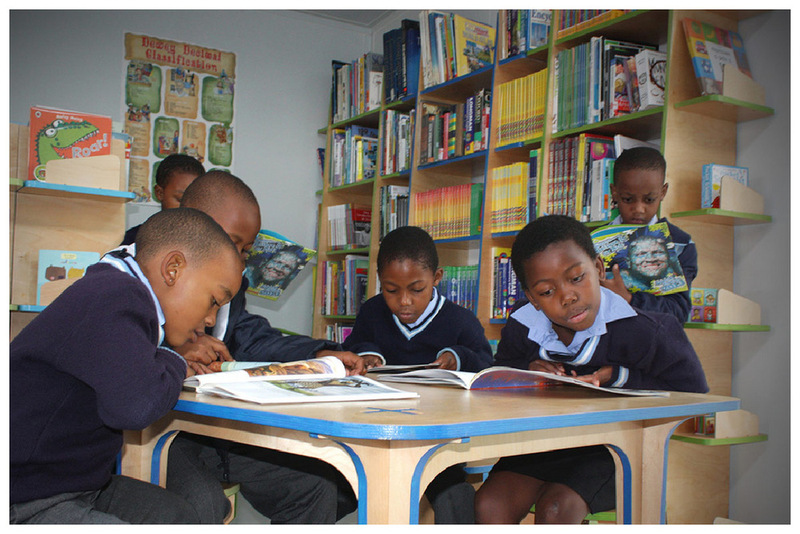 The +PLUS TABLE is designed specifically for children. 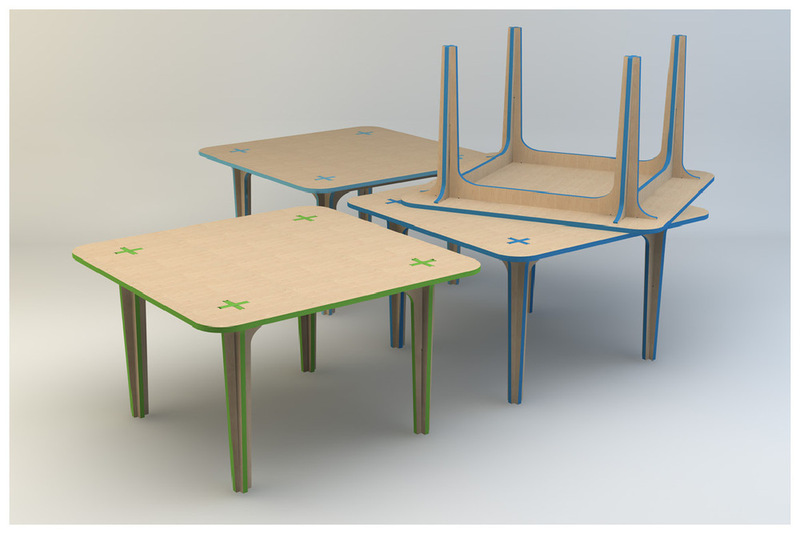 The edges are custom colour edged furniture using various woods (Finnish / Spruce / OSB). 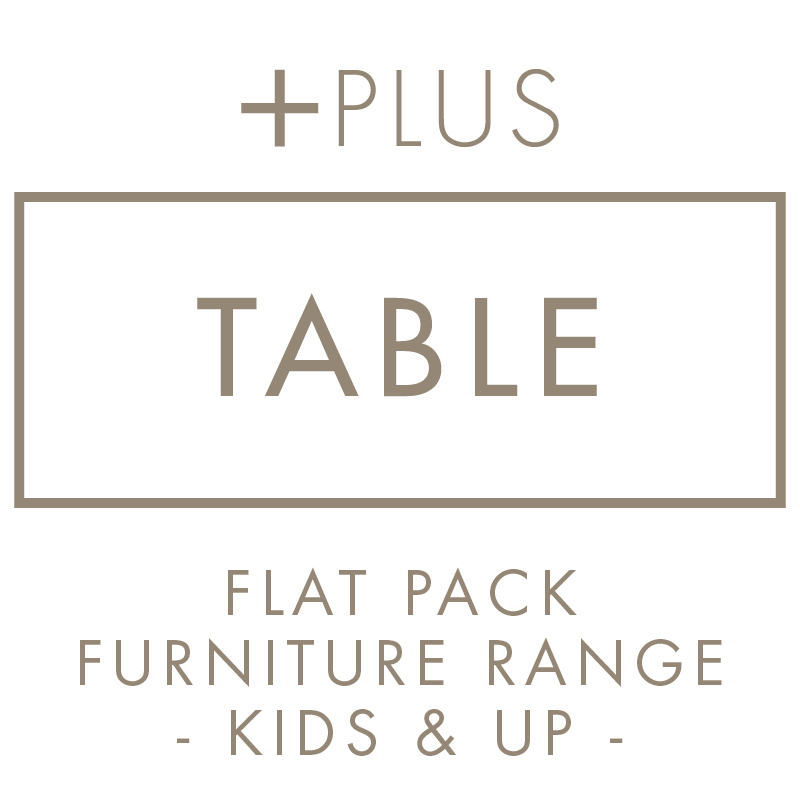 Also available in a larger size for adults.